Whenever you are starting or ending your yoga session, most likely you will chant at least one Om. And if you are a traditional ashtangi, than you will definitely chant Om to open and close mantras both at the beginning and at the end of your practice. Have you ever wondered why? What’s the point of reciting Om? 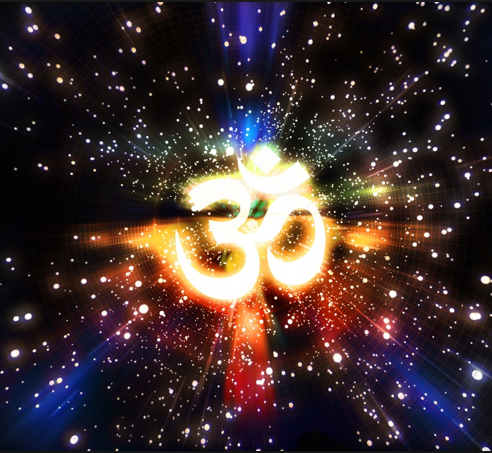 OM is considered the most sacred, mystical and powerful amongst mantras, where a mantra is a particular combination of sounds arranged in a specific way to produce a specific kind of vibration so to produce a particular state of consciousness. b. overcoming the obstacles encountered on the path of yoga. And this is because the power of mantra is potential and to get activated requires time and dedication. I know, it can sound a bit disheartening but if we think about the promised results, it seems like it’s really worth a try 🙂 And, to my personal experience, even a single Om can be very helpful if we have built a little reservoir from which to draw. What is yours? This entry was posted in Ashtanga Yoga and tagged ashtanga, Ashtanga yoga, awareness withdrawal, chanting OM, daily yoga practice, Ishvara, Ishwara pranidhana, Mandukya Upanishad, meditation, Om, omkara, overcome obstacles on the path of yoga, Patanjali Yoga Sutra, pranava, Rosa Tagliafierro, Taimni, The science of Yoga, theprimerose, turning in awareness, yoga, yoga practice. Bookmark the permalink. 2 Responses to WHAT’S THE POINT OF CHANTING OM?